Come to our first Community Cafe! 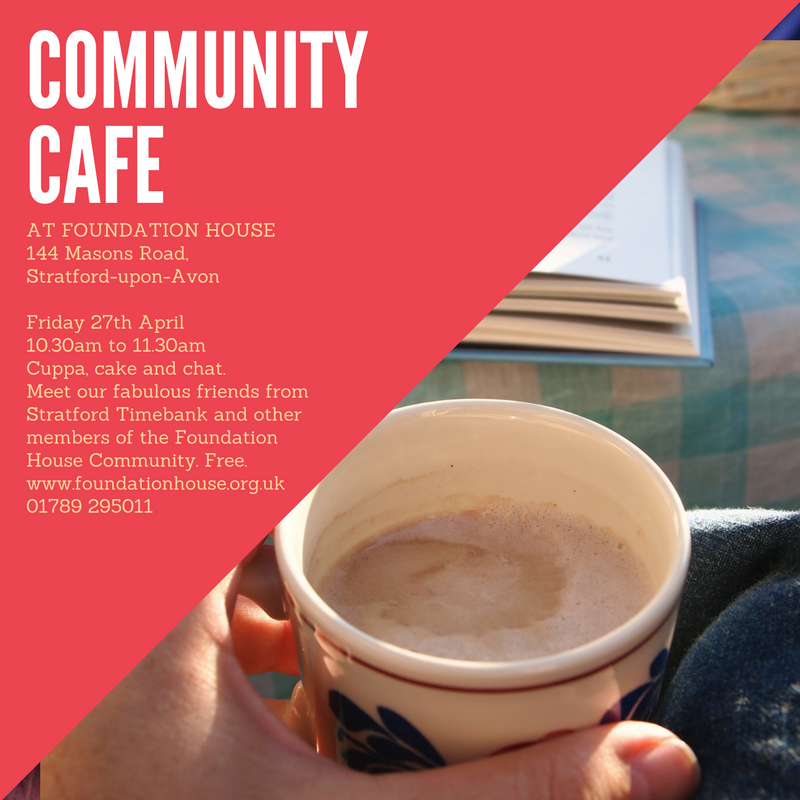 Join us on on Friday 27th April 2018 between 10.30am and 11.30am for a free cuppa, cake and chat. Meet our fabulous friends from Stratford Timebank and other members of the Foundation House Community.